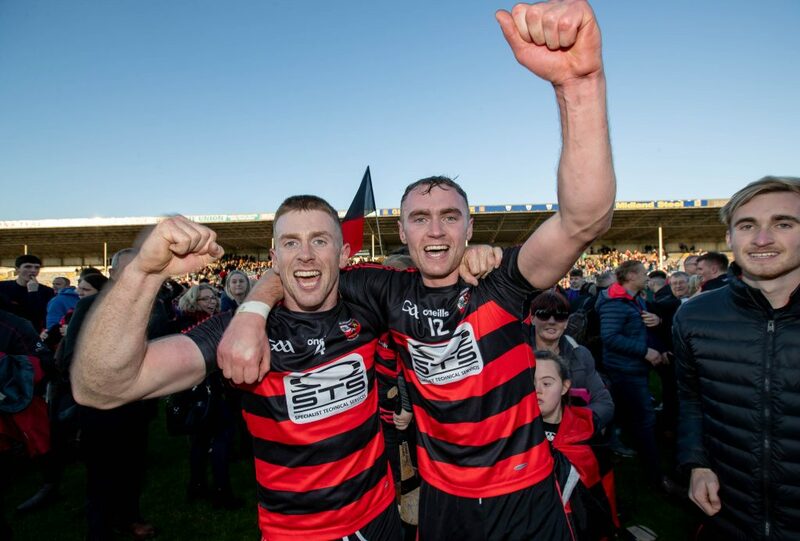 Ballygunner’s Ian Kenny and Pauric Mahony celebrate winning AIB GAA Munster Senior Hurling Championship Final in Thurles on Sunday. Photo: Inpho. Fergal Hartley has created an inter county environment in Ballygunner according to top scorer Pauric Mahony. There was fifty people involved in this triumph.